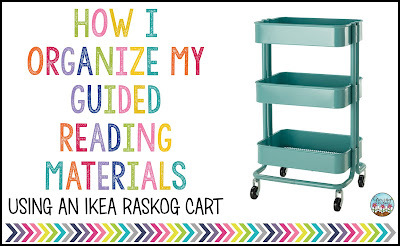 When I saw the Raskog cart at IKEA a few years ago, I told myself I HAD to have it... if I could come up with a reason to use it! 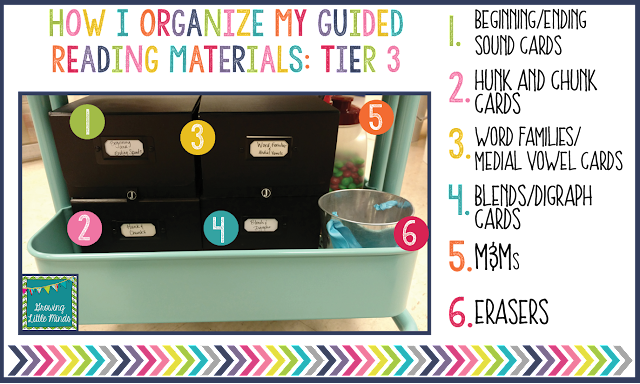 Finally, I came up with a great reason to use it- to store my guided reading supplies! First of all, let me just tell you how well made this cart is. It was easy to put together, and it is very sturdy. It doesn't wobble at all. And the wheels are very smooth, so it is easy to pull it out to use it and roll back when I'm finished. So I'm 100% thrilled that I purchased it, and I'm looking for a reason to purchase a second one. 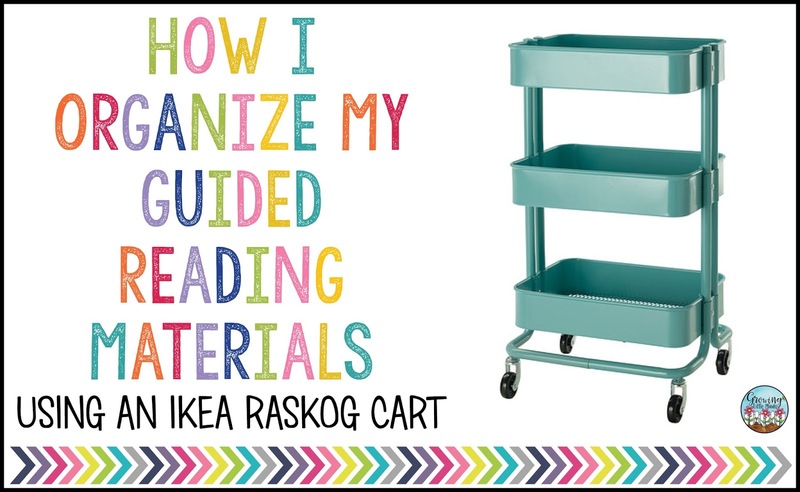 The Raskog cart has 3 tiers, and they hold a ton of stuff! The only things I don't have on my cart are my Guided Reading books and my big container of magnetic letters. I have a separate bookshelf for my Guided Reading books. 1. 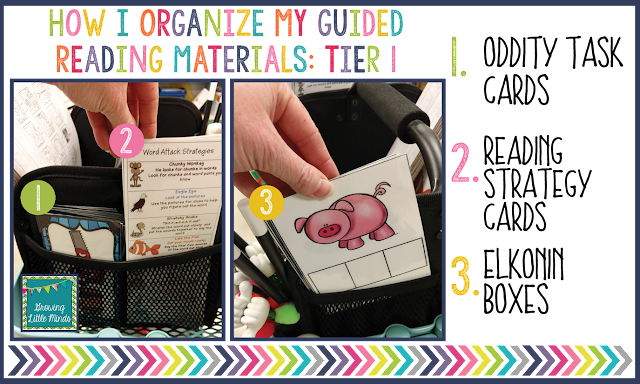 Guided Reading Binder- I keep my Guided Reading plans in a binder, separate from my regular lesson plans. Each group has their own tab with their lessons. I also keep running record sheets, letter ID assessments, and other stuff there as well. It tucks there nicely next to the toolbox. 2. Phonics Dance song- We use a program called the Phonics Dance, and I use my Guided Reading time to practice the Phonics Dance. 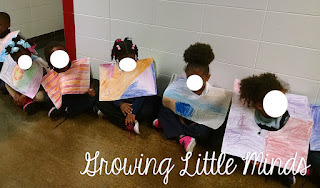 At the beginning of the year, I do it with all the students, and later in the year, I use it with my struggling students who need extra practice with their sounds. This is also something they can do independently while I do a running record. 3. Timer/Clock- My classroom clock is behind where I sit, so having a clock is handy. I also use the timer to make sure I keep my groups within 15-20 minutes each. And yes, I took that picture at 7:31pm. 4. Dry Erase Markers- I use these to let the students practice writing words on my dry erase boards. 5. 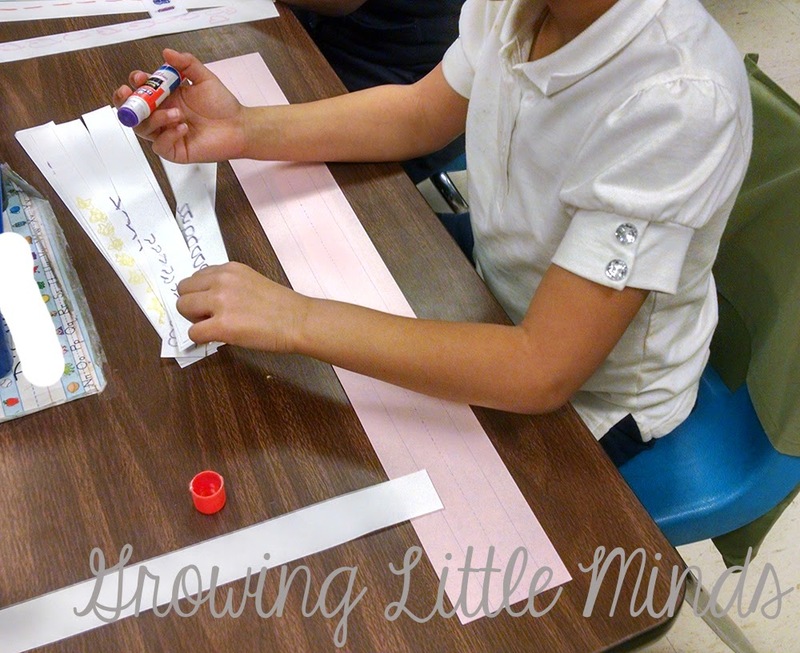 Magnifying Glasses- We use these for finding words, sounds, or chunks in our books. It makes it much more fun because they feel like detectives. 6. Sight Word Flashcards- I keep these handy on a ring. We practice our sight words first whenever we come to the table. 7. 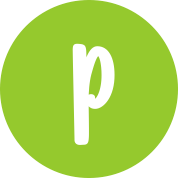 Pointers- I have a variety of fun pointers that we use for finding words, sounds, or chunks. I like to mix it up. The kids love the different ways they can look through their books for different things. Inside the toolbox, I have some other items that I like to keep handy. 1. and 5. Dry Erase Boards and Erasers- I love the smaller dry erase boards. They came from the Target Dollar Spot several years ago, but I've seen them since I purchased these. The dry erase erasers also came from Target. They are usually available around back to school. 2. Reading Strategy cards. These have a different reading strategy on each card that I can display when I am teaching them a new strategy. I printed these 4 to a page so they are small. 3. 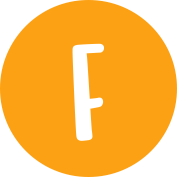 Alphabet Flashcards- I keep these handy for all students at the beginning of the year, and I taper them off as we go. 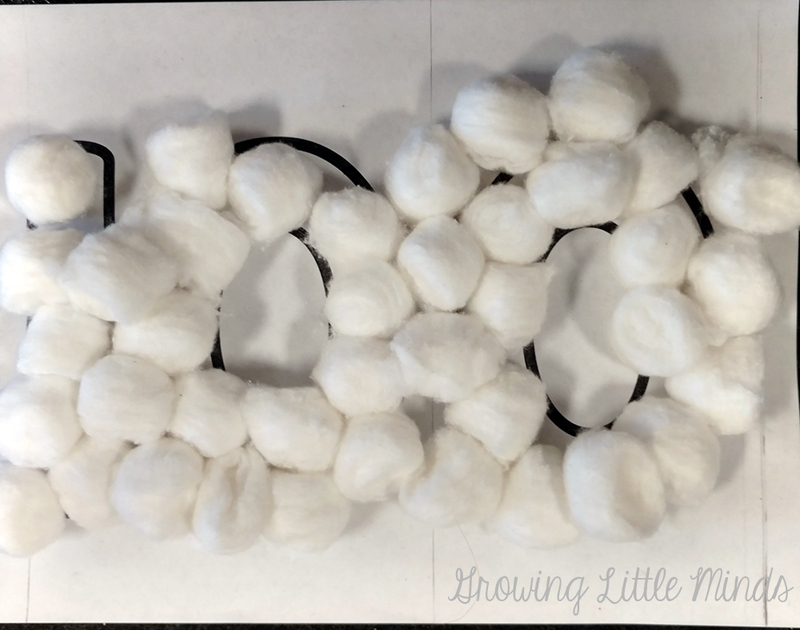 We use them to practice letter recognition and sound recognition. 4. 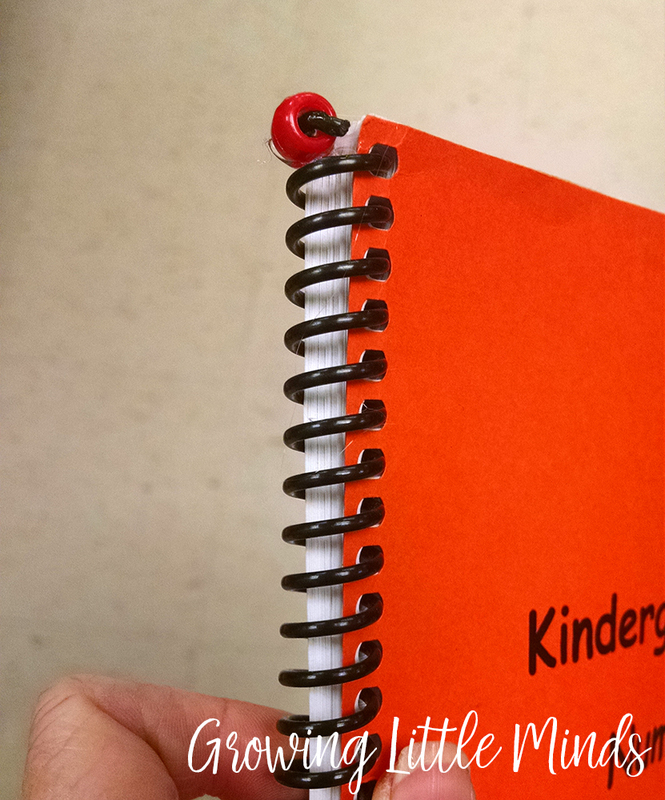 Pointer fingers- These are especially helpful at the beginning of the year, because it helps the students remember to use their finger and point to each word. 6. 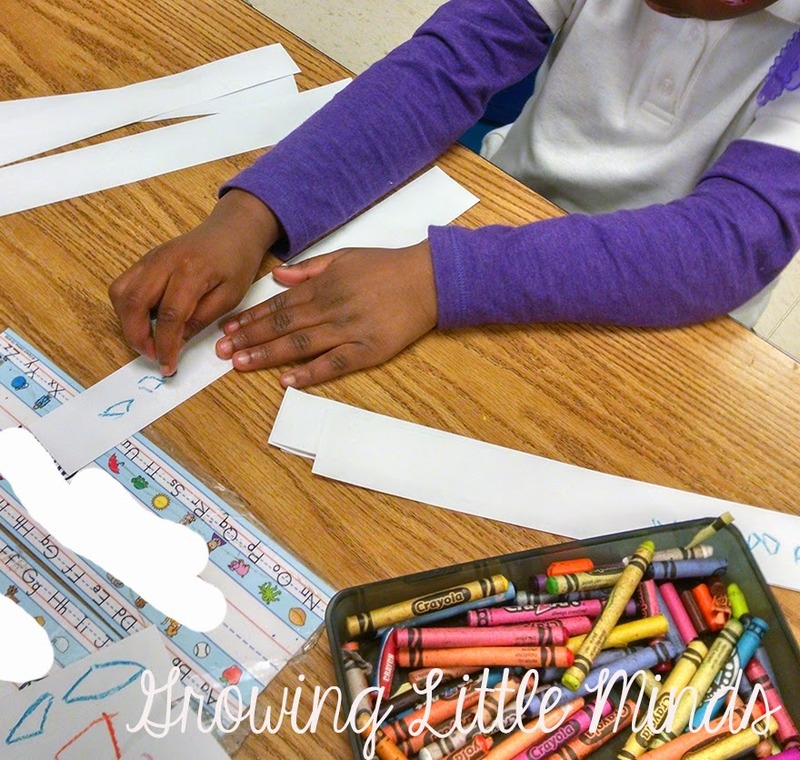 We use Slinkies for breaking and stretching out words. We s-t-r-e-t-c-h out those words and use the Slinkies to help. My toolbox has little side pockets that are great for holding cards. 1. Oddity Task Cards- These are a quick and easy way to help my students with phonemic awareness and sound discrimination. The ones you see are Beginning Sounds, but I also have Rhyming Words, Middle Sounds, and Ending Sounds as well. I switch them out as needed throughout the year. 2. Word Attack Strategy bookmarks- Once we've learned a few strategies, I use these with my students so they can try using more than one strategy. 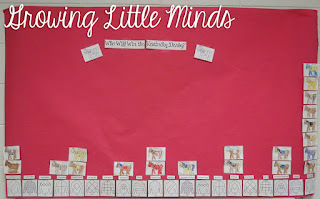 We go over which strategies we've already learned and they can reference it while reading. 3. 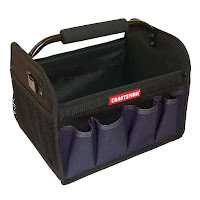 Elkonin boxes- These are great for breaking and segmenting sounds. The BEST thing about the Raskog cart is that it has 2 more tiers for lots of Guided Reading materials! 2. Retelling gloves and strings- We use these for retelling stories after we've read them. 3. Timers- I use these to do quick activities. 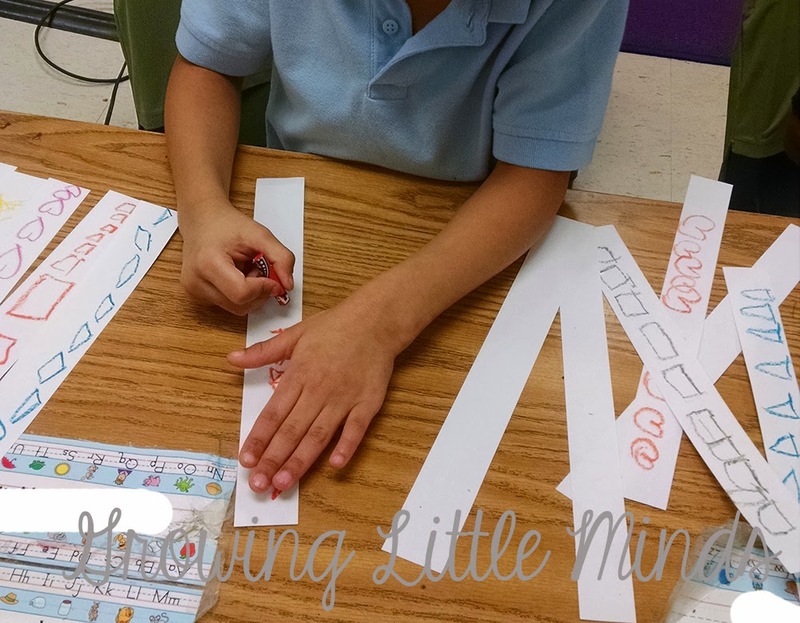 One activity my students love is where they have one minute to write as many words as they can. 4. Cookie Sheets- I bought these small cookie sheets at Ollie's. 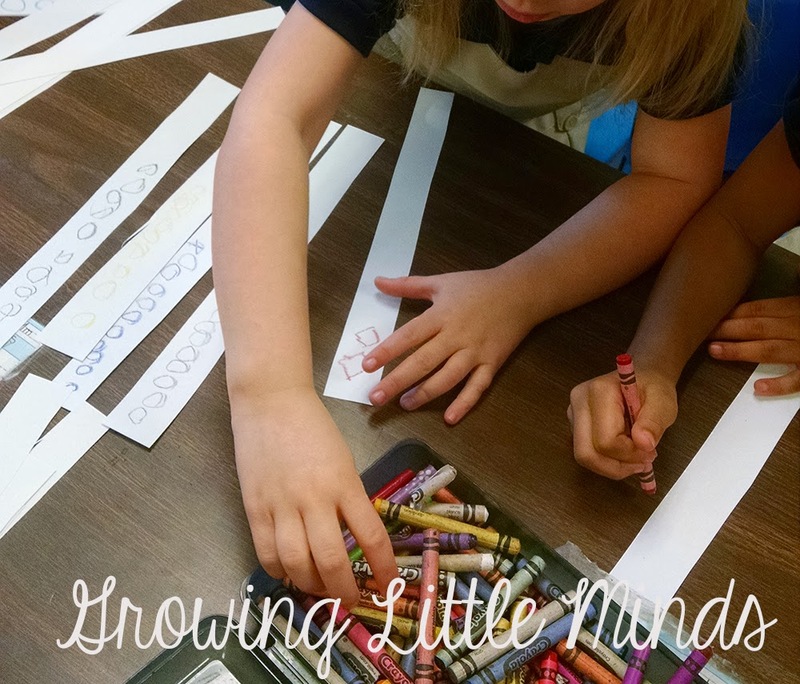 They are great for doing a sight word mix and fix activity. I can put the letters they need on the cookie sheet and hand it to the student. The magnetic letters stay on the cookie sheet and can be passed back to me easily. 5. Smarties- I give Smarties as a treat when a student does a great job. I call them "Smarties for my Smarties" and I hand out a few whenever a student or a group does a great job. 6. Scentos Markers, because... why not? 1-4. This is something I had brand new this school year, and I absolutely loved it. I made different cards for each sound that I teach, and organized them in library pockets. Whenever we are working on a sound, or they need a review, I can pull out the cards I need and we can do an impromptu sort. 5. 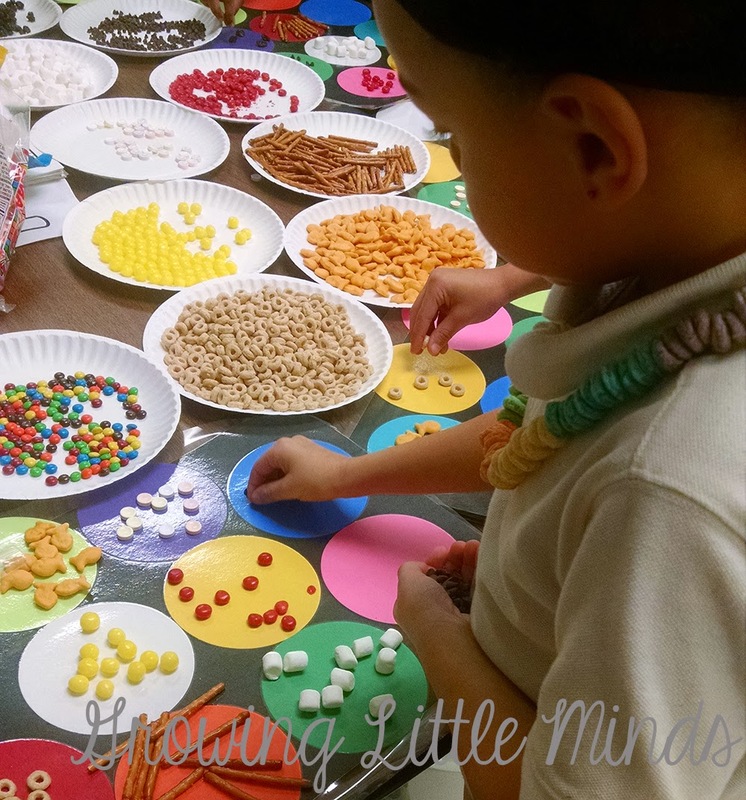 M&Ms- I keep these as a treat for a group that does a great job. They are also great for using with Elkonin boxes. 6. Erasers- I have a bucket full of small erasers that I keep at my table. I use these for Elkonin boxes. They slide the erasers into the boxes to blend the sounds together. I switch these out with the seasons, so sometimes they are pumpkins, or snowmen, or hearts! So that's how I organize most of my Guided Reading Materials on one handy cart! Apparently IKEA doesn't sell the turquoise RASKOG cart anymore (tear), but they do carry it in a beige, a redish-brown, and black. There are also several other carts that would work if you really have your heart set on blue, like I did. I've also heard that other stores carry similar carts. 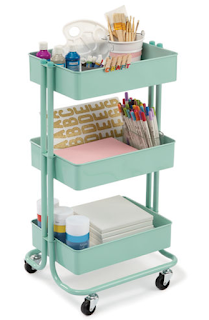 Or you could purchase one of the IKEA carts and paint it to whichever color your heart desires. Here are a few different options from Amazon that aren't too expensive. And this one from Michaels is also an option! 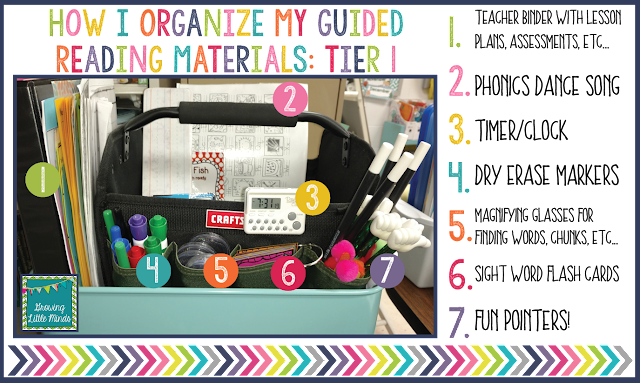 I hope this post helped any of you who are struggling with keeping your guided reading materials organized and accessible! 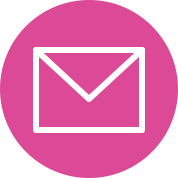 Having so much necessary stuff is a struggle, but it helps to have everything at your fingertips so that you can get your groups running and ready to go quickly! 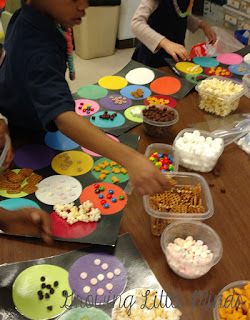 Making a 100th day snack! 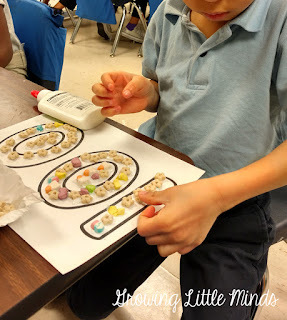 I posted about our 100th day of school and some fun activities we did for the 100th day in this post, so you can check out that post if you need more ideas! 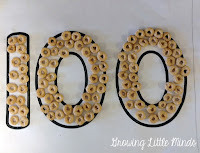 The last fun activity we did on the 100th day of school was a 100th day snack. 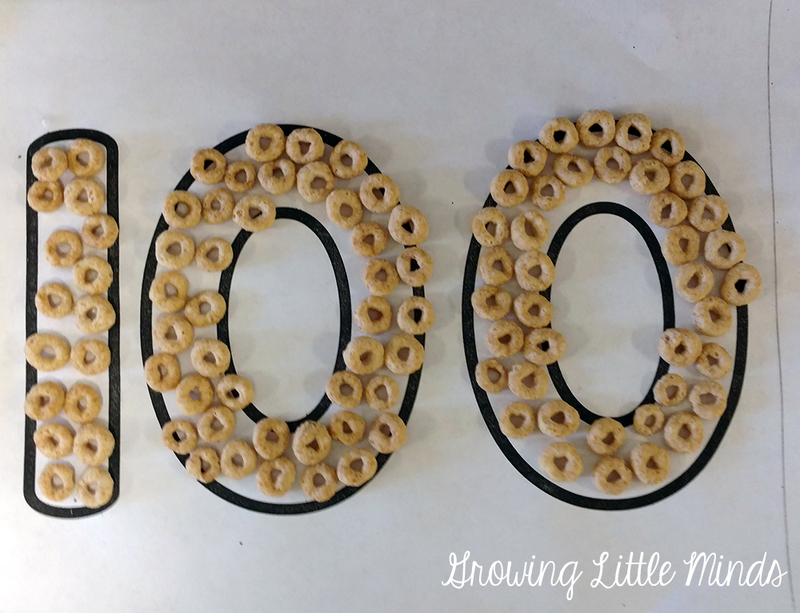 I had some questions about how I manage the 100th day snack, because it all seems overwhelming, so I wanted to let you know: IT'S NOT THAT BAD! 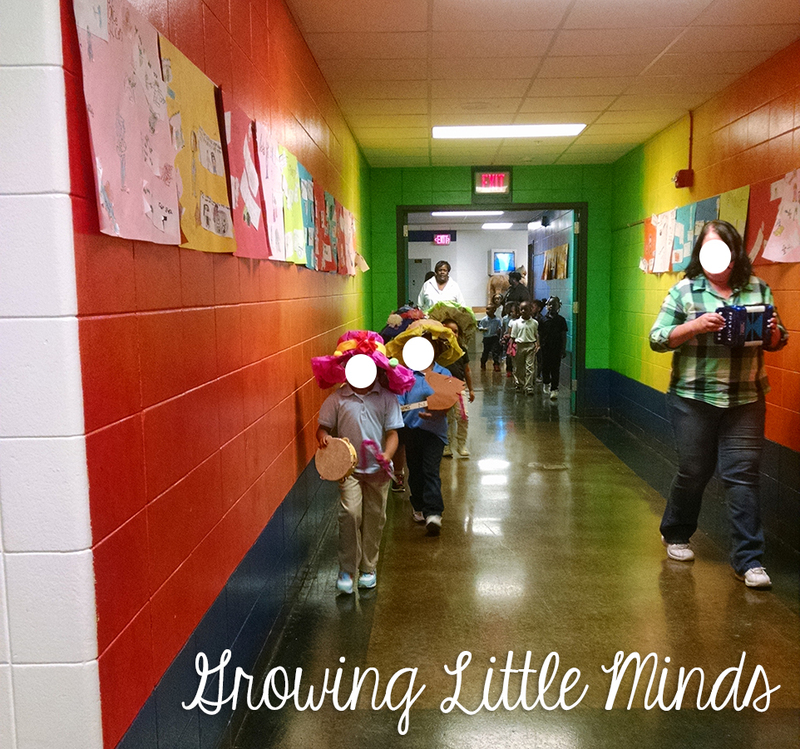 I've been doing it for years with both Kindergarten and first graders, and I've never had any problems with it. If you can get parents to donate items, you'd be even better off. 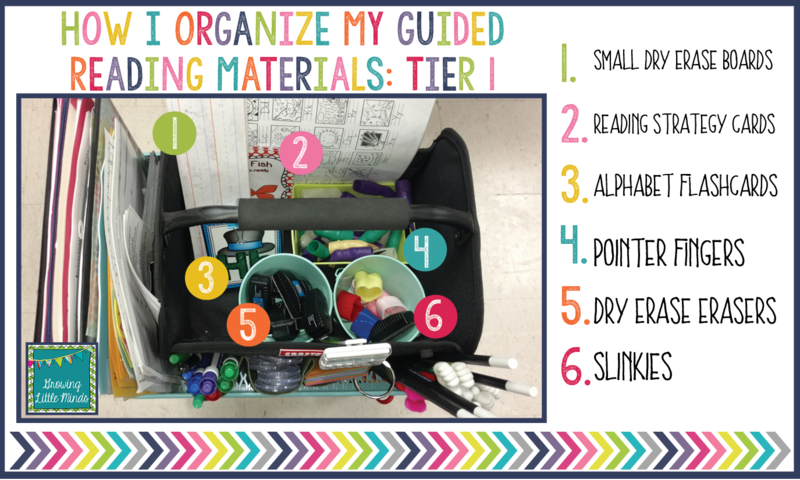 The key is organization. 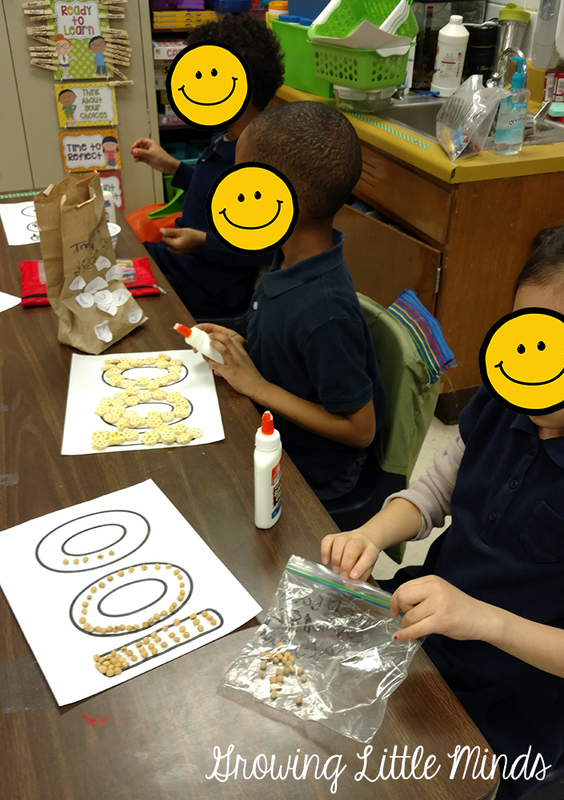 I have my students working on another activity while we do their snack bags. 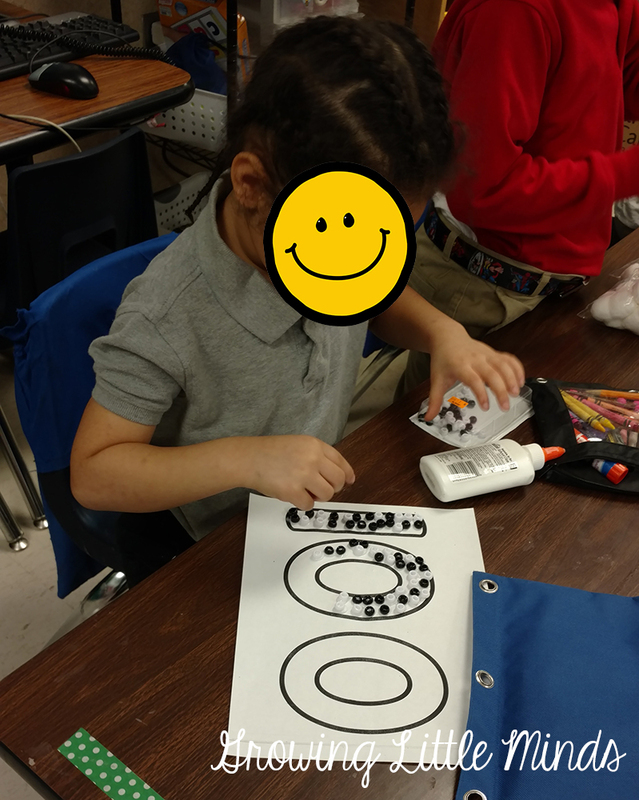 I've had graphing activities, 100th day books, etc... that the students can do independently while I pull a few students at a time to my table. I usually only pull 2-3 in Kindergarten, because they need a little more supervision. I try to pull a few independent students so that I can help the ones who need a little bit more help. We created these placemats with 10 colored circles glued to a piece of black paper and laminated. 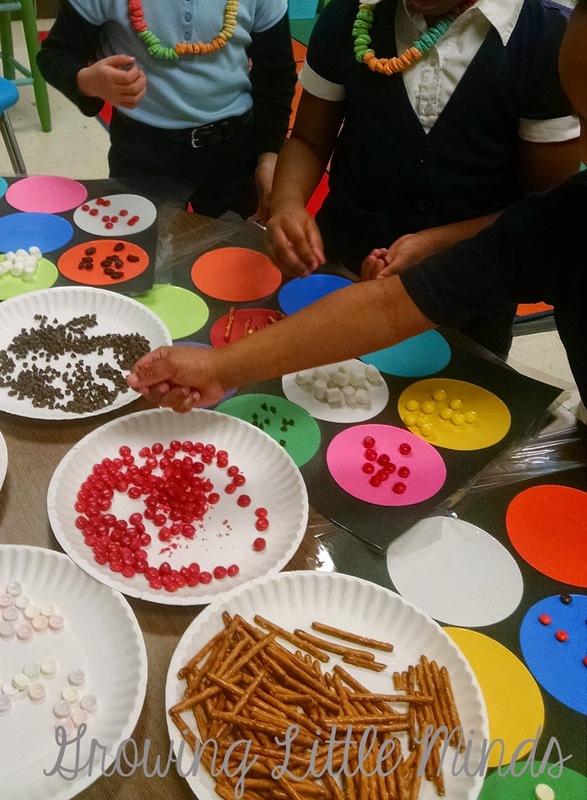 The students were instructed to put 10 of each food item in one of those circles. 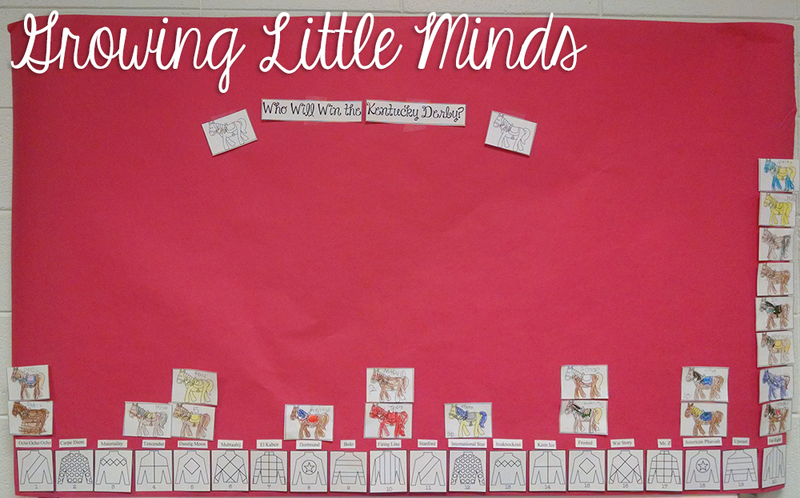 This works best in Kindergarten because the students can see how many of each item they've counted. In first grade, I just allowed them to put the items in their baggie. 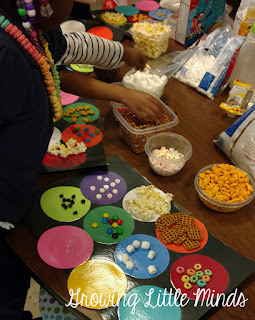 We had quite a variety of items to make their snack. The students take 10 of each item and place it on their mat. Last year, I placed the items on a plate, but I prefer bowls or plastic containers because they take up less space. 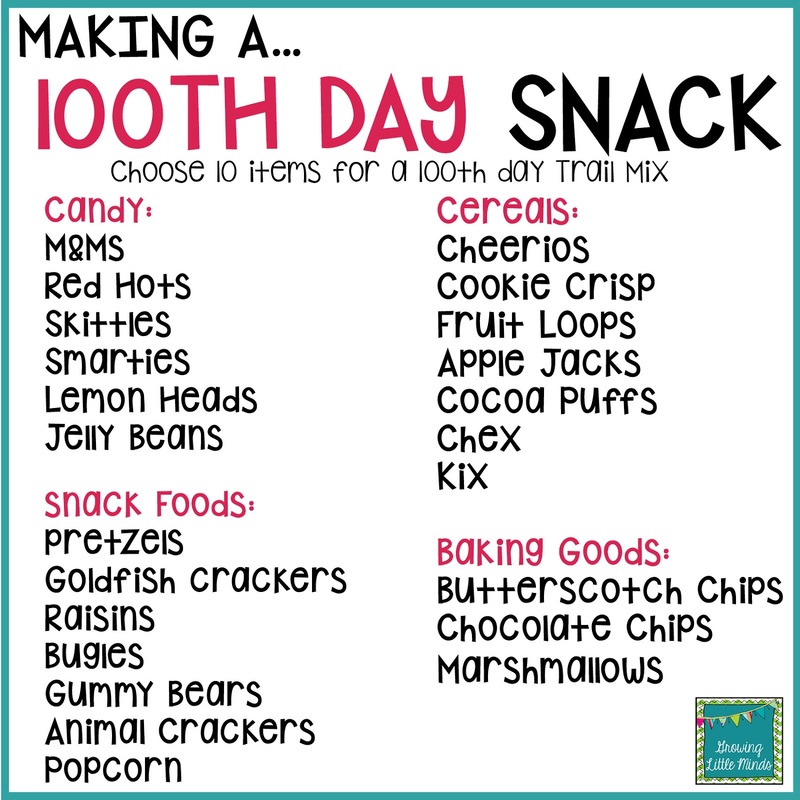 Every year I struggle with which items to use in my 100th day Trail Mix, so I created a list of different items that I can choose from. I try to choose a variety of options- some candy, some cereal, some snack foods, and some baking goods. 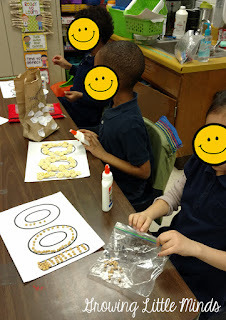 Once the students had 10 of each item in their circles, I checked them and put them into a baggie with their name on it. 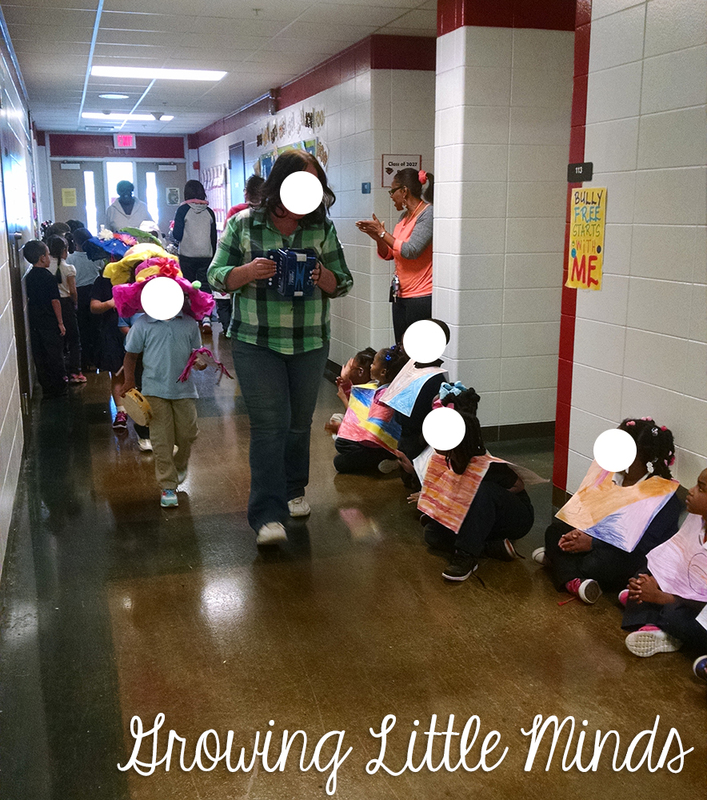 Then they got to take their snack home! 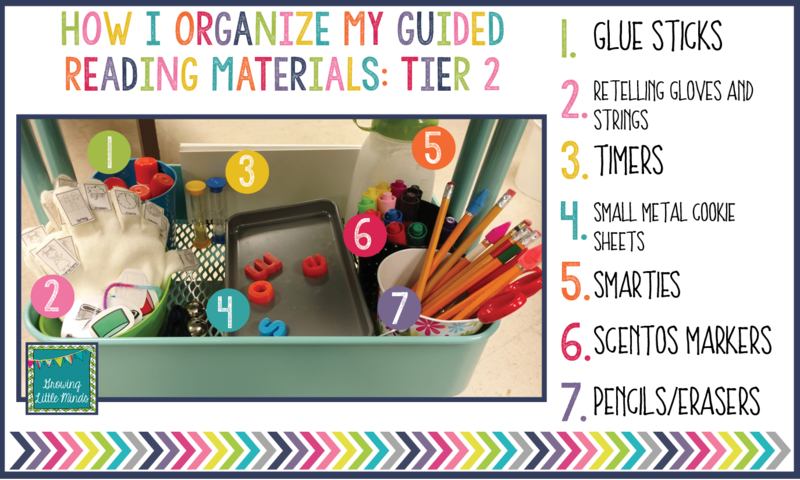 I love the counting mats because I can easily see how many more items each child needs to count out, and they can be picked up easily and the items can just be dumped into their baggies. 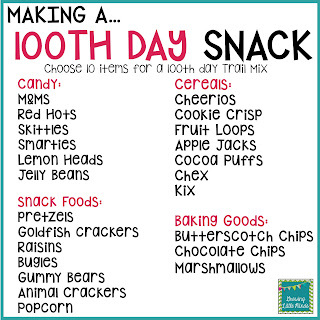 So that's how I manage the 100th day snack! The kids are always so excited about making their own snack, and they can't wait to eat it when they get home. If I have extra items left (and I usually do! 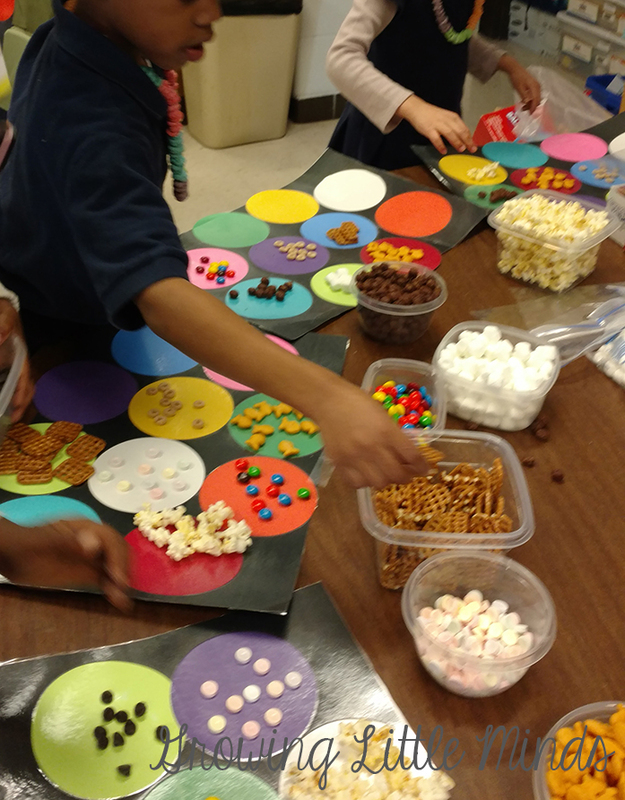 ), I throw it all in a bowl or bag, mix it up, and give them a handful to taste at school. 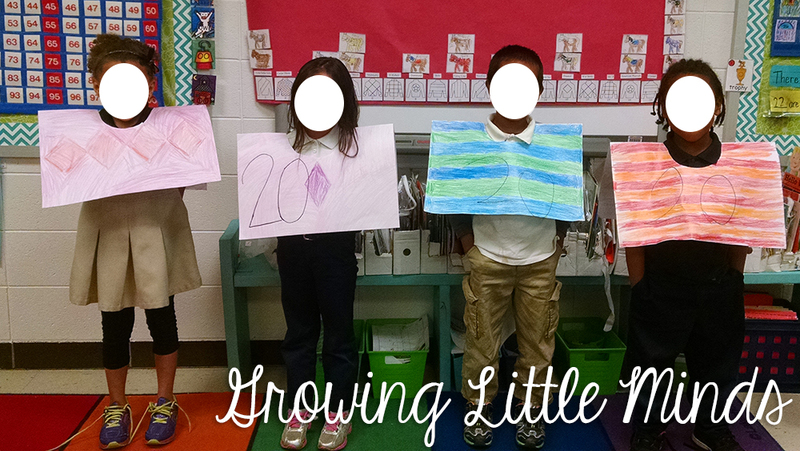 Have a Happy 100th Day of School! 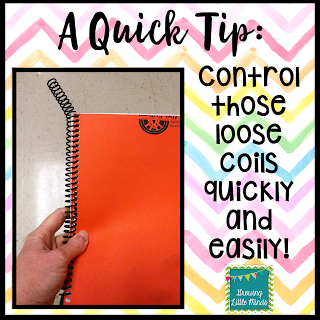 A Quick Tip: Control Loose Notebook Coils! I know I can't be the only one who feels this way. 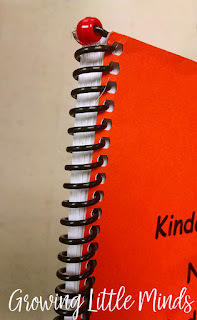 Notebooks with coils usually end up tangled and pulled out until half the pages are loose, or the metal is used as a weapon. 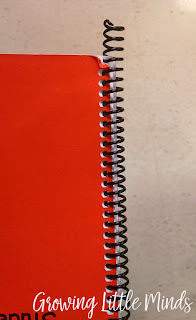 Notebooks where the pages can be torn out usually end up with the pages falling out. It's horrible. Composition notebooks are great, but they are more expensive than regular notebooks and therefore just not in my budget! I've battled this problem because I always use notebooks with my students. 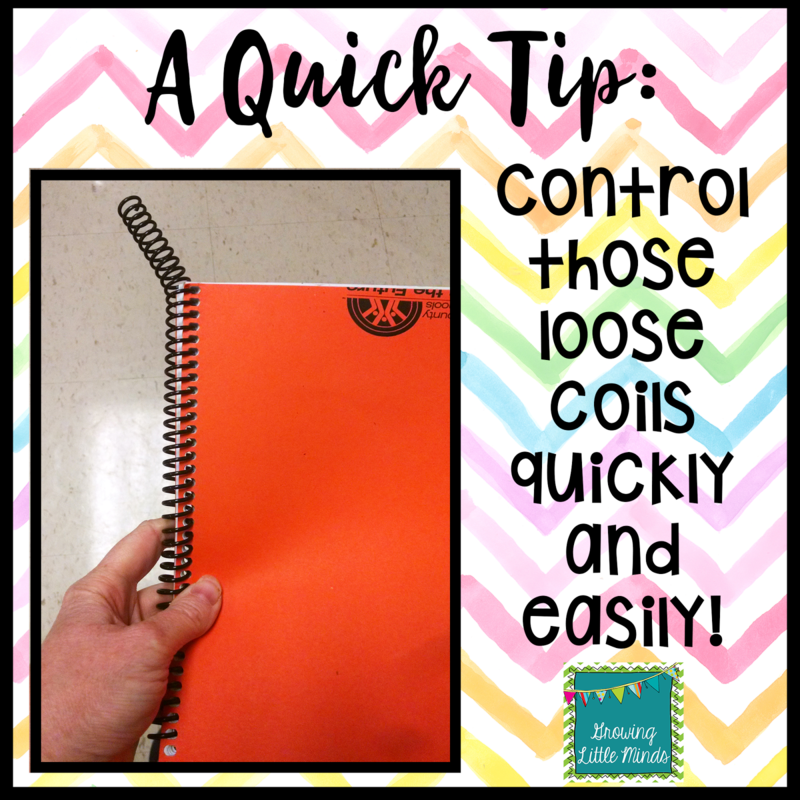 I felt like I spent too much time fixing notebook coils when some student decided to shove their pencil up in the coils even after I told them it was a "no no". 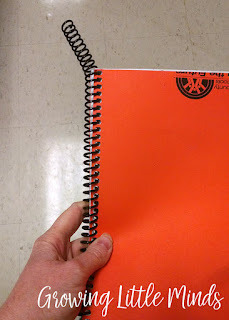 Even after setting down ground rules, including don't put your pencils in your notebook coils, your coils aren't toys, and other such completely worthless directions, I had to come up with a solution. And finally, one day, I did! These are actual student notebooks. The plastic coils are even worse than the metal ones. The students even had difficulty opening to the correct page because the coils were in the way. All you need to fix this problem? 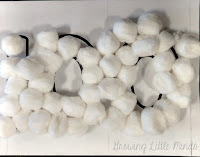 2 plastic beads and a hot glue gun! 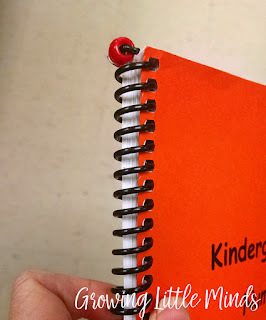 One bag of beads will do multiple notebooks and they are cheap! You can do it two ways, but I found it easier to put the hot glue inside the bead and slide it onto the coil. 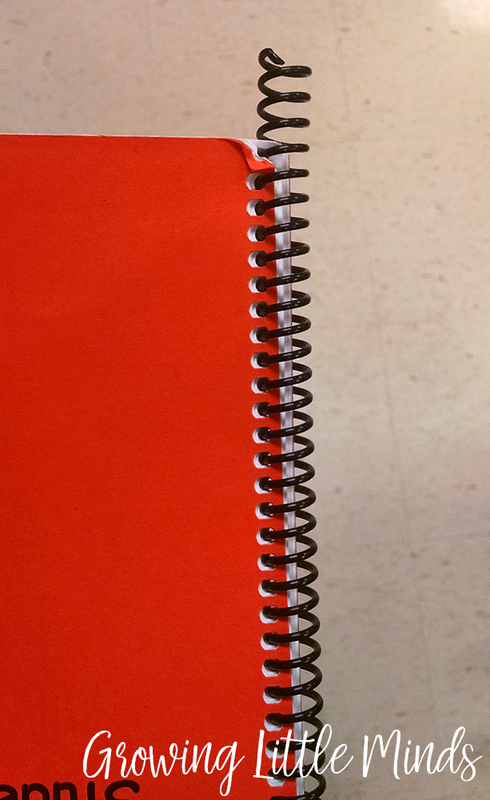 I put one bead on each end of the notebook. 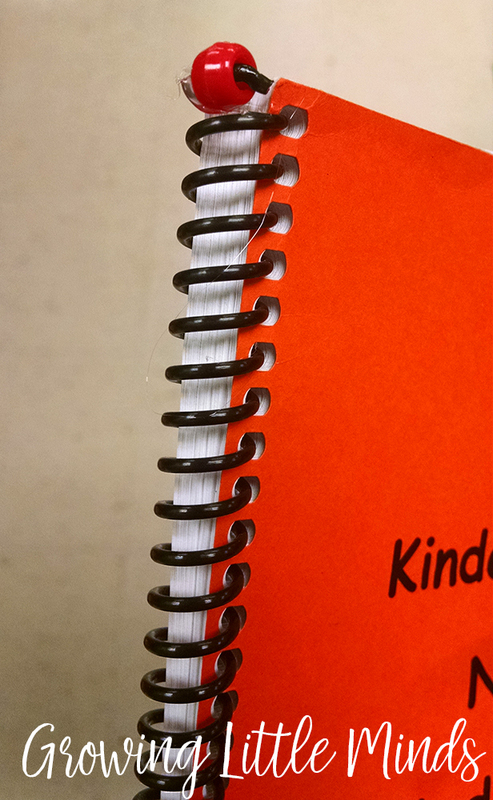 Even with Kindergarten students using these notebooks, the coils stayed put. It only took about 15 minutes of my time to do an entire class set, and they would keep the coils from falling out. I just told my students they were not allowed to pull them off, and miraculously, they didn't! And that, my friends, is how you get closure on those loose notebook coils! Keep Calm and Derby On! I live in the Derby City, and the Kentucky Derby is a HUGE deal here. Most people who live outside the area don't really understand the significance of the Derby, unless they happen to be horse racing fans. Growing up an hour and a half away from the Derby, I knew NOTHING about it. But now that I live here, I love everything Derby! Anyway, I just simply can't ignore the Derby, so we always have some Derby fun each year in the 4 days leading up to the Derby. We only have 4 days during that week because Friday is Oaks Day, and we have to have it off! We used this book during the week. 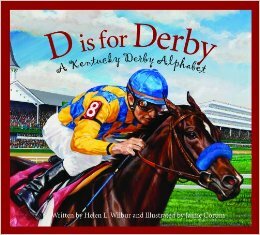 There are very few Derby books out there, but I like this one. I don't usually read all of the words, because it can be kind of wordy, but it has good pictures and a lot of good information. 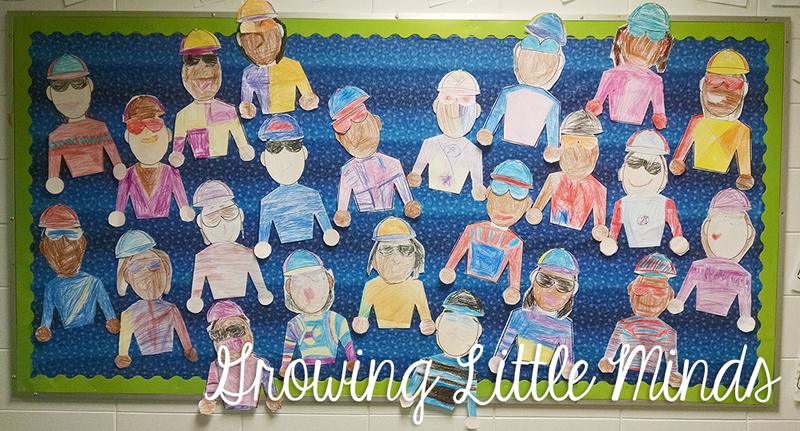 We made these adorable jockeys. I love their cute little faces. They turned out so cute! We also voted for the Derby horse we thought would win the Derby. Several of my students voted for "Far Right", and I even had 2 choose the Derby winner, American Pharoah! They got a rose from me when we got back to school on Monday for choosing the Derby winner. 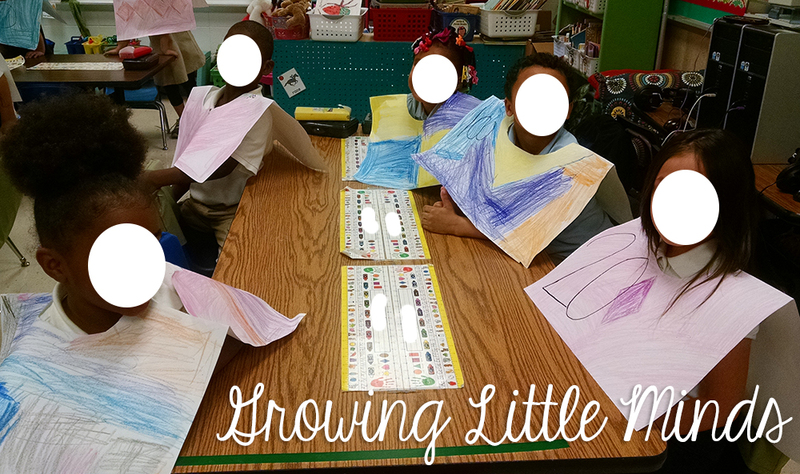 We also designed and made our own silks like the jockeys make. 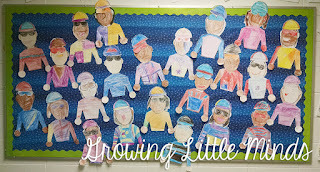 I pulled up images from the internet of different jockeys and their silks, and we talked about the purpose of the colors and patterns on the silks. 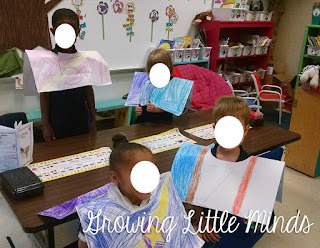 Then they got to make and wear their own silks out of poster paper. Once we finished making our silks, we had a silk contest. We chose 4 of the best silks, one from each table. I brought each of these students a rose for winning. 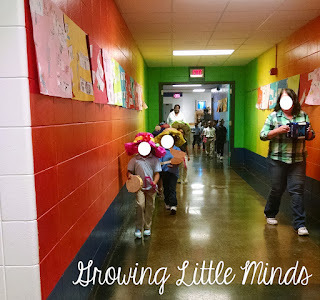 Then we watched our pre-school classes in their parade! 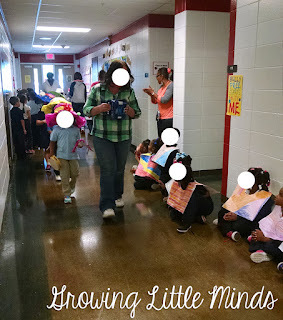 One of the Kentucky Derby festival events is the Derby Festival parade, so usually the pre-school does one every year. 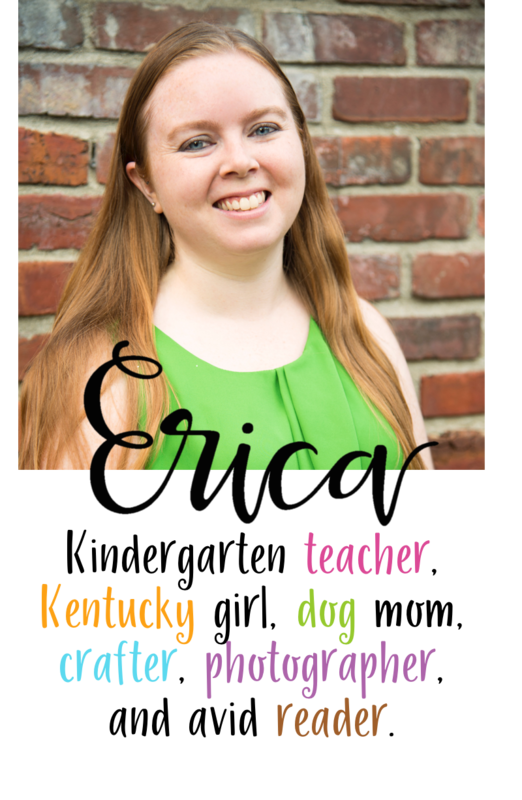 If you are looking for more fun Derby activities, I have another post here and here with several more activities and ideas! 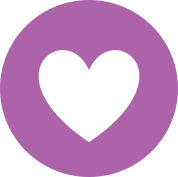 I also have a fun Derby freebie that you can find at this post! 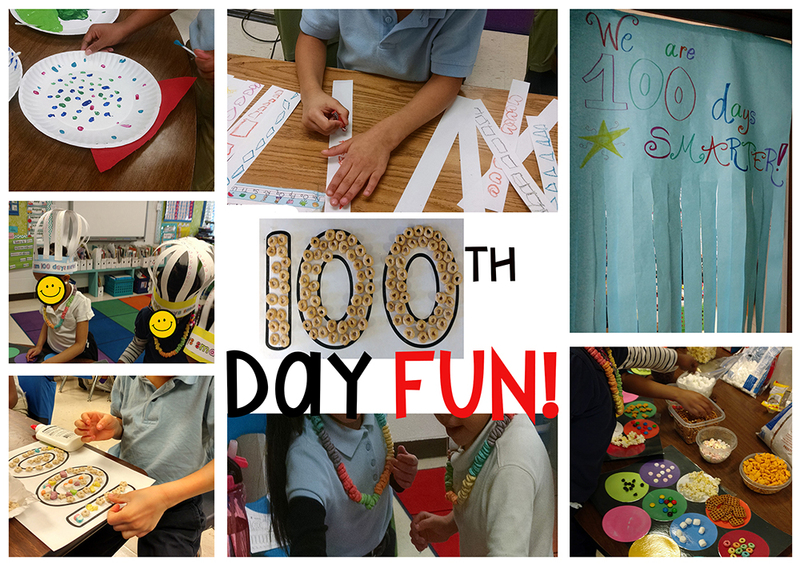 We celebrated our 100th day of school a yesterday, and we had tons of 100th day fun! 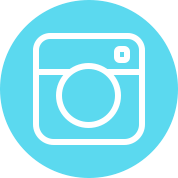 I have a few pictures and activities to share with you. It was such a busy day that I didn't get pictures of everything, so I'll share the things that I did get pictures of. 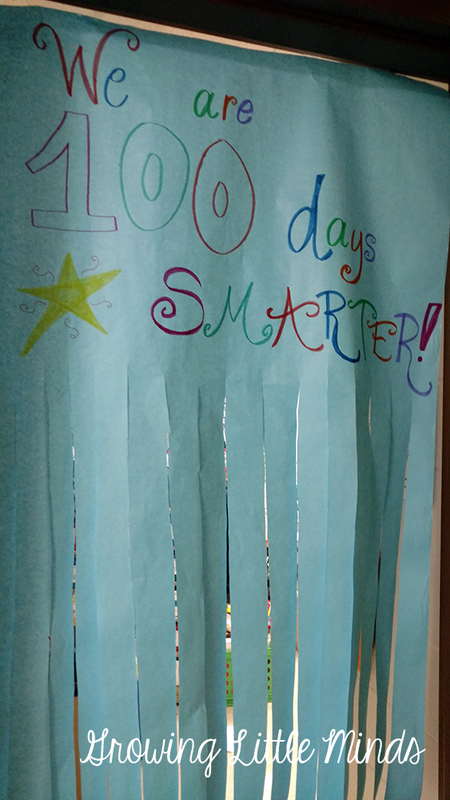 I made this 100th day sign to hang on the door. The kids LOVED coming in through the paper. 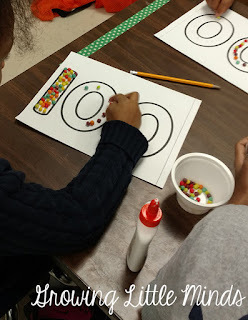 We began our day by making our 100th day collections! We asked each student to bring in 100 items. We encouraged them to bring in small items that could be glued to a sheet of paper, such as pasta, cereal, cotton balls, etc... We had a wide variety of items that included soy beans (that's a new one! 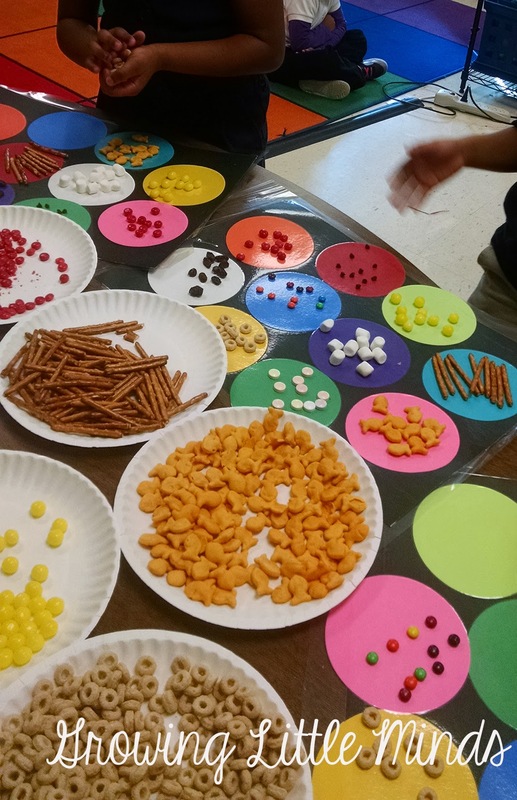 ), cereal, popsicle sticks, q-tips, and more! All of my students except 2 brought in something, so I just had some extra cereal on hand for those who needed some. 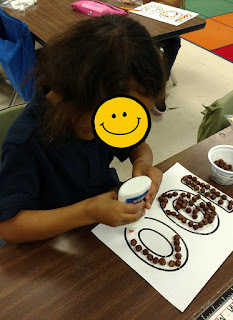 Then they used glue to put these items on a number 100 on their paper. Then we made 100th day hats! 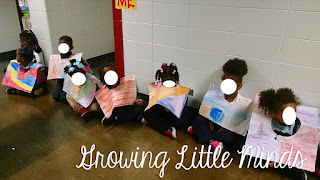 We use 10 strips of paper and I have my students draw 10 pictures on each strip. You could also do stamps, stickers, or other small items and glue them on the hat as well. 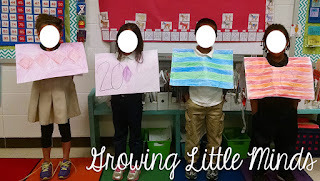 They made sure to count the number of pictures they had drawn on each strip before moving onto the next strip. The hats take awhile, but they look so cute when they're finished! 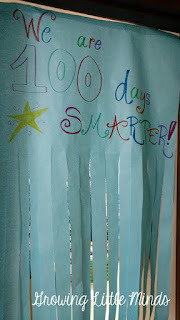 Then we glue the 10 strips to a sentence strip, attach a little piece of paper that says "100 Days Smarter!" and I staple their hats together. Voila! 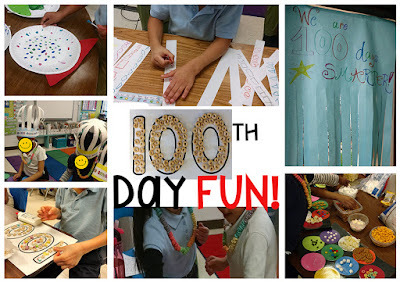 A 100th day hat! Another project we completed was 100 day gumball machines. 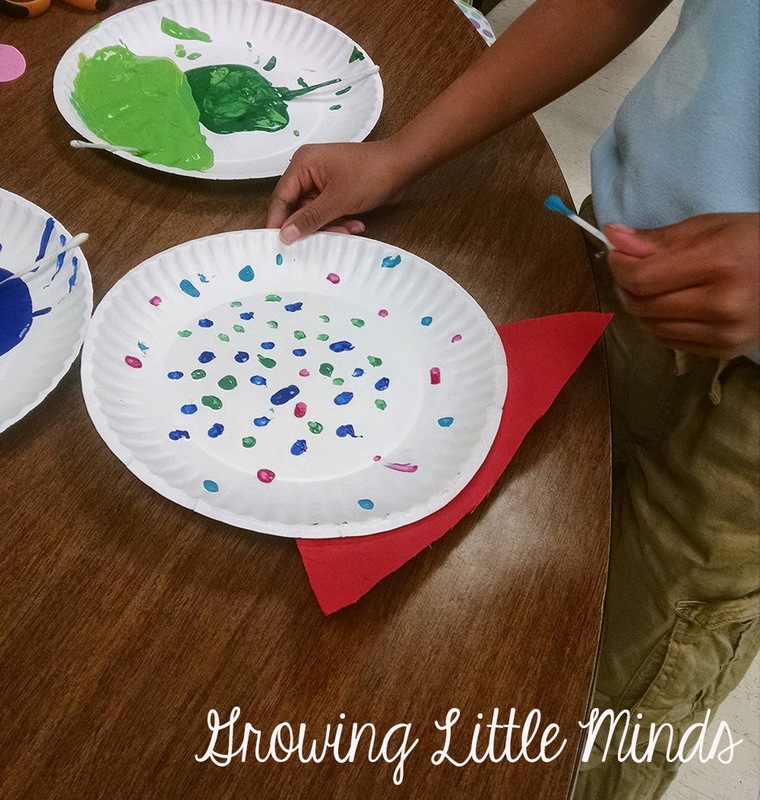 We used 10 colors of paint to put 100 "gumballs" on a plate. We attached a red trapezoid at the bottom, and we had a gumball machine! 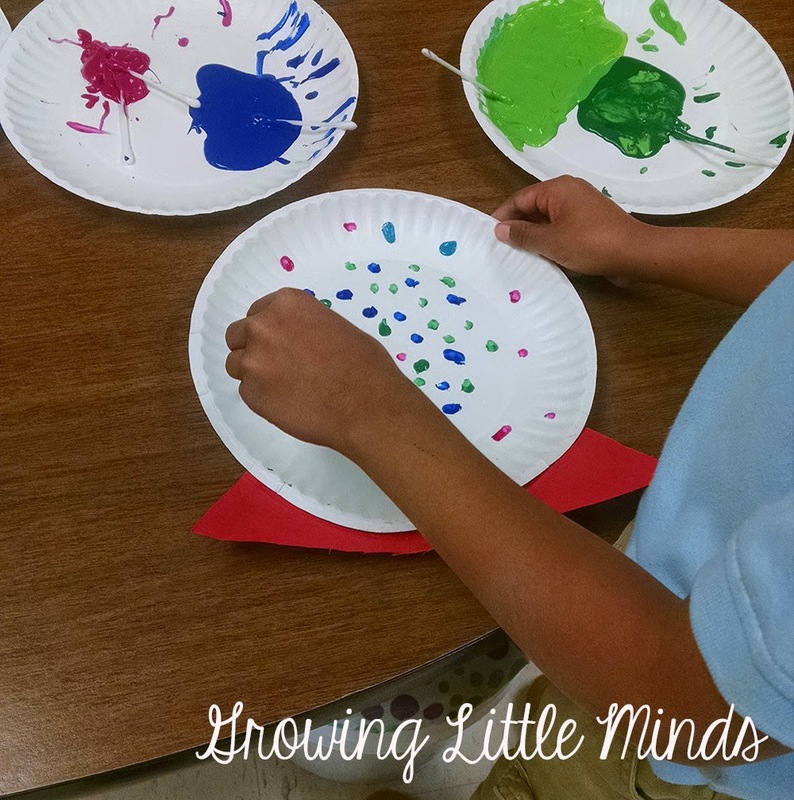 It was kind of fun watching the kids put the paint on their plates. 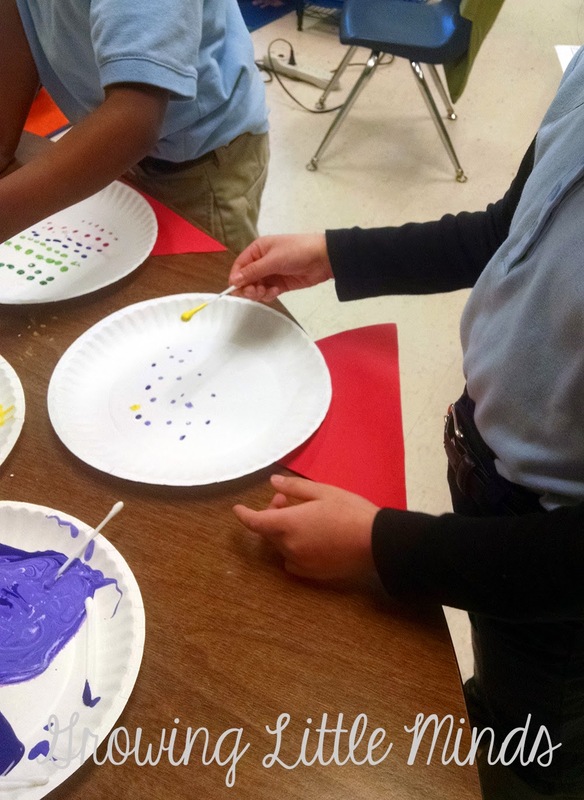 Some of them put their 10 dots in neat rows, while some of them just painted willy-nilly all over the plate. 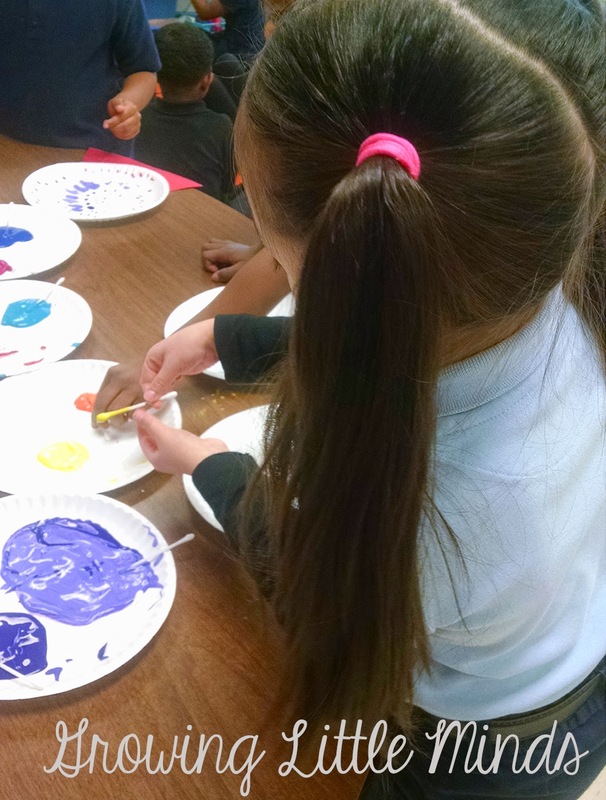 I was there to help them make sure they had 10 dots of each color and also for paint control! 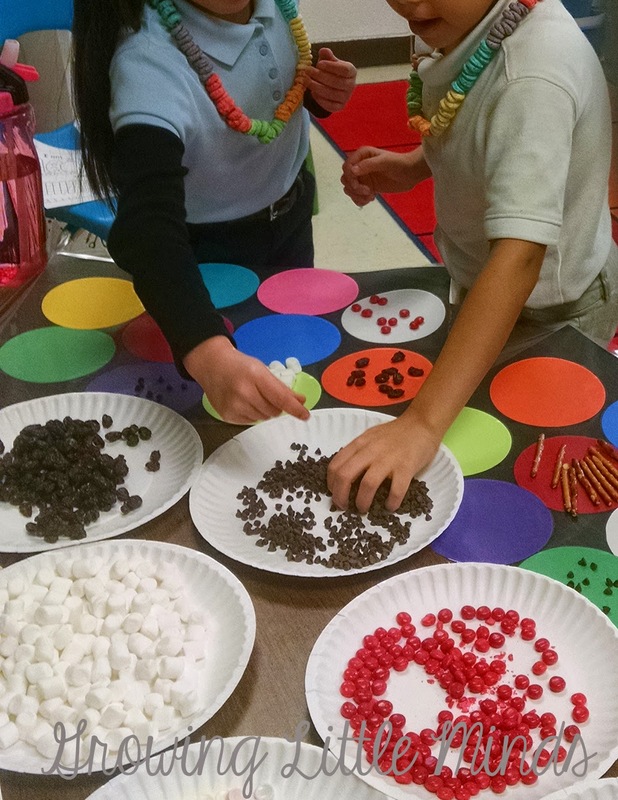 We also made necklaces with 100 fruit loops. I've made these in Kindergarten and first grade, and the kids LOVE them. 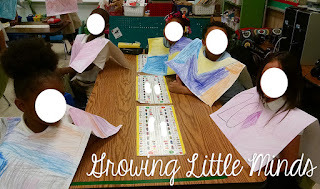 In Kindergarten, they used 10 of each color (obviously with some repetition!) So they may have 10 red, 10 yellow, 10 purple, etc... In first grade, we did 20 of each color, and they used 5 colors. Of course, I don't have a picture of the necklaces, because I was busy helping students and I didn't get a single picture, but you can see them in this picture below! 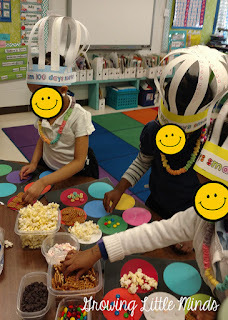 The last activity of the day that we did was our 100th day snack. 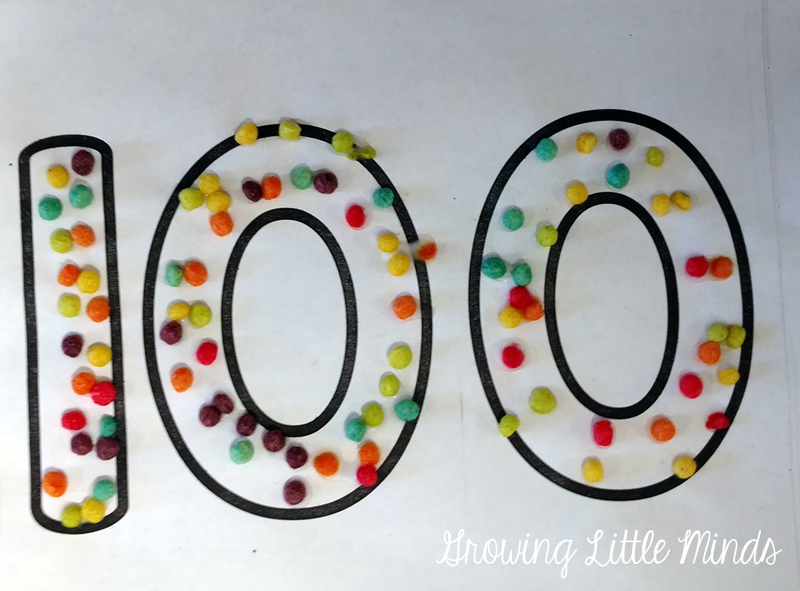 Check back and you'll see how I manage the madness that is our 100th day snack!